We're proud to announce that VoxxLife is the main sponsor of our 11th annual event, which takes place January 26th-28th, 2018 at the Segerstrom Center of the Arts in Costa Mesa, California. VoxxLife is a technology company devoted to drug-free wellness, optimal health and improved human performance. They are on a mission to help millions achieve pain relief and enhanced mobility. VOXX HPT is a safe and natural performance solution. 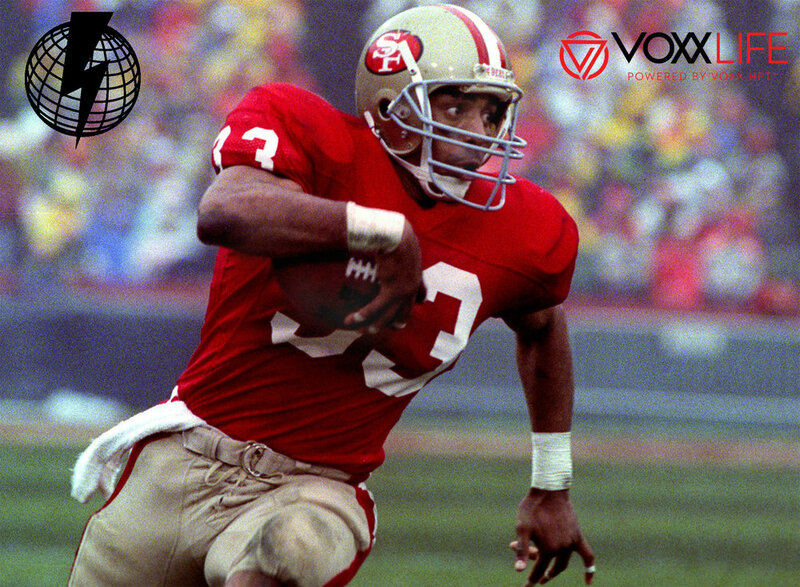 VoxxLife will also be presenting football star Roger Craig to speak about his success with chiropractic care throughout his life and career. Again, Cal Jam would like to recognize and thank VoxxLife for their partnership. With their help, this will surely be the best Cal Jam yet!